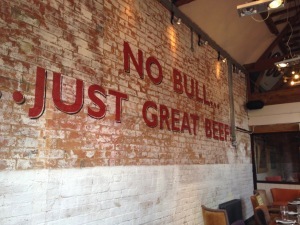 Whilst we were visiting Stratford-Upon-Avon we visited the Lazy Cow steak restaurant, we wanted to visit last year but could not fit it in as we had planned so much. So this year I was determined to eat here. It is such a cool, trendy atmosphere and reminds me very much of my favourite bar in Manchester the Oast House. It is set in a stunning location, right on the Bank of the River Avon, overlooking a conservation area. 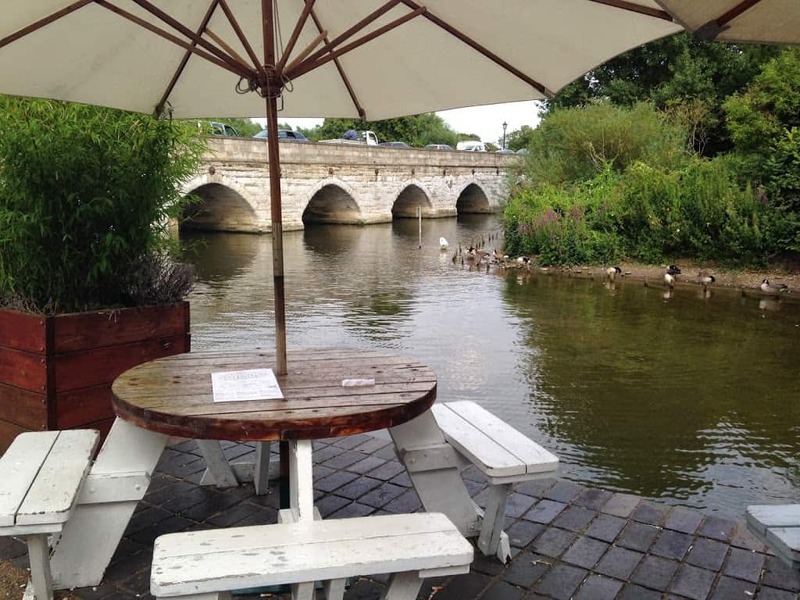 Perfect for dinner and drinks on a summers evening. We were greeted and offered a choice of sitting inside or outside, and then shown to our seat and greeted by Beki our waitress for the evening. Beki took our drinks order, which arrived very quickly, and took the time to tell us about certain dishes on the menu and then left us to choose our meals. I must say I struggled there was so much to choose from, and looking at all the tables around us,(I am terrible for doing that) all the food looked so good. I decided to go for a steak burger after much deliberation. When Beki took our order she spent time with Jack looking at his carbs and cals app showing him the portion sizes of the food he had ordered, so he could work out his insulin correctly. This always has a huge bearing on how I feel about a restaurant. Jack has to get his injection right; it shows the measure of a restaurant when staff who are visibly busy give him the time to identify portion sizes of the food he has ordered. Our food was fantastic, my steak burger was cooked exactly how I like it, pink. The food although it is a steak house was all served a little differently, a little more creatively. I must say the service and atmosphere at the lazy cow is fantastic, and it was great value considering the attentive service, beautiful location and great surroundings. We would definitely recommend the Lazy Cow and can’t wait to visit again. Have to say I totally love that place – the food is always fab and it is such a cool setting too.